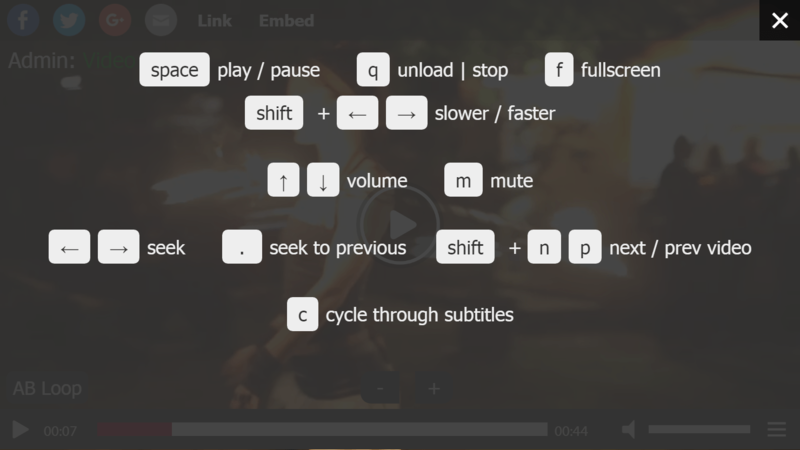 FV Player just got a great new feature - Interactive Video Transcript. 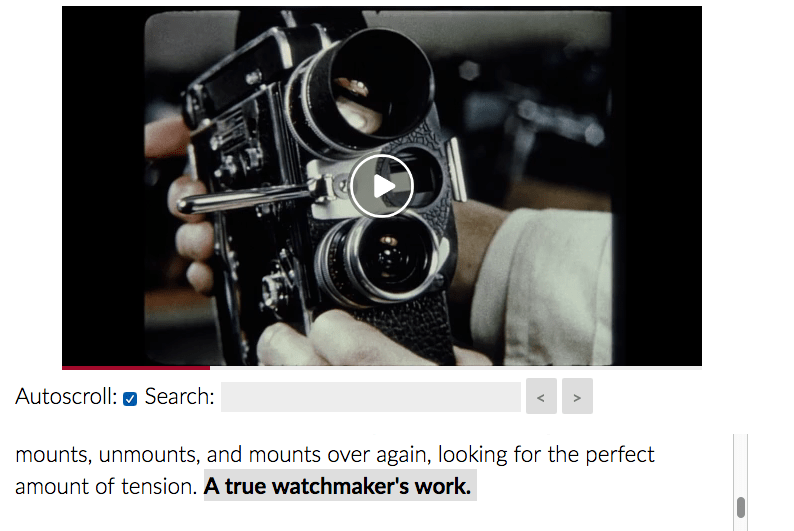 In short, it creates a text from a VTT subtitle file and shows it in a box under the video. But that's not what makes this feature so great. The real advantage is the interactivity. As you can see in the example above, the block of text generated from the subtitle file is actually highlighting the current line in the subtitles as they go along with the video playback. You can just read the transcript while watching and it will automatically scroll down the text. Or, if you want to keep the video playing and browse the transcript yourself, just turn off the Autoscroll. The Search bar is another neat function. It doesn't just simply search for a word in the transcript. It will actually jump the playback to the point where the word is used. Every line in the VTT file has it's unique point on the video timeline and clicking on any line in the transcript will also move you to that point. All these handy functions can improve the user experience of your customers and also go hand by hand with the fact that having more unique text content on your website will considerably improve SEO. If you want to learn more about this feature, read our documentation - Interactive Video Transcript. 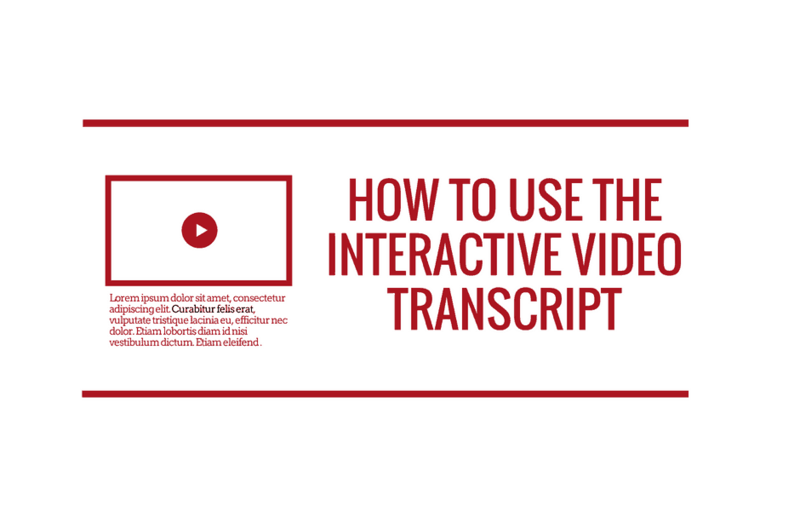 Interactive Video Transcript is a pro feature. For the moment interactive video transcripts only work in Beta mode, but they are coming soon to the normal release version. If you don't know how to create and work with subtitles in VTT format, read this guide - How to Create Subtitles.